 The Ridge Casino complex offers a total of 175 rooms. Guest can choose to either stay at the Southern Sun The Ridge or StayEasy Emalahleni both within easy access to the best attractions in Witbank and surrounding area of Mpumalanga. Southern Sun The Ridge – a favourite stopover hotel in Witbank for travellers en route to Mozambique. SUN1 Witbank is located in close to the casino and provides basic and comfortable accommodation that is both very affordable and well suited to your needs.